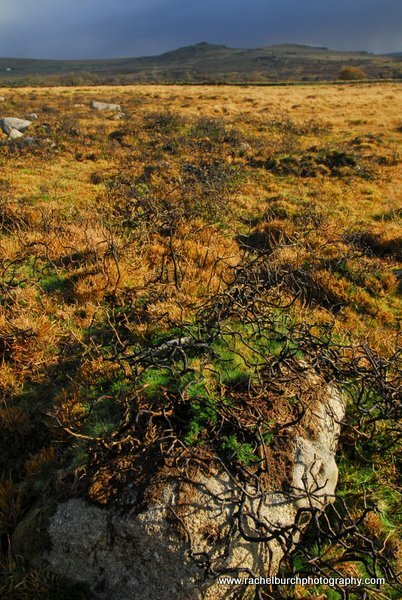 I walked out to Vixen Tor which is only a few miles from Tavistock, my resident town. I expected to get wet as the sky was a wonderful mix of clouds and blue. This is actually a good mix for Photographers! 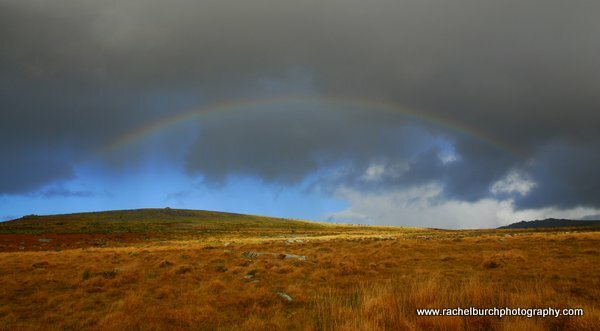 I think I saw four separate rainbows on this shoot and managed to capture a couple of them. The surprising thing was that I converted the above image into a black and white picture and think it actually looks better! 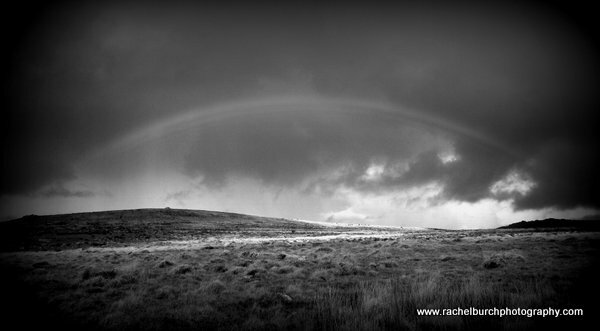 I think as with all black and white images the highlights texture and lighting work with this shot. 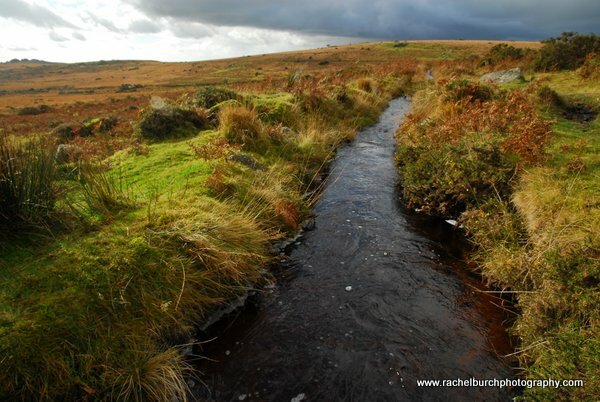 I continued to the Tor itself and eventually found a way around a classic Dartmoor bog. 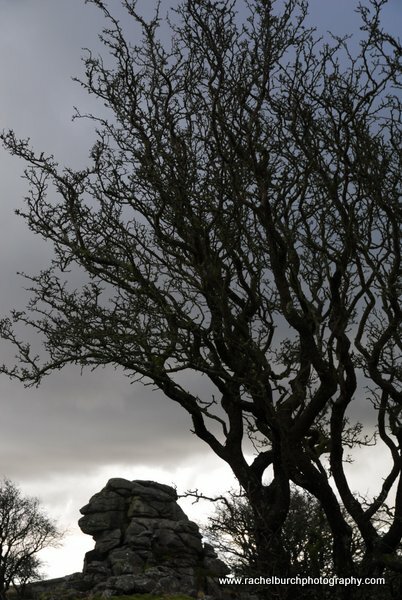 I got a soaking walking towards the Tor but the haunting vista of the Tor in front of me ….. 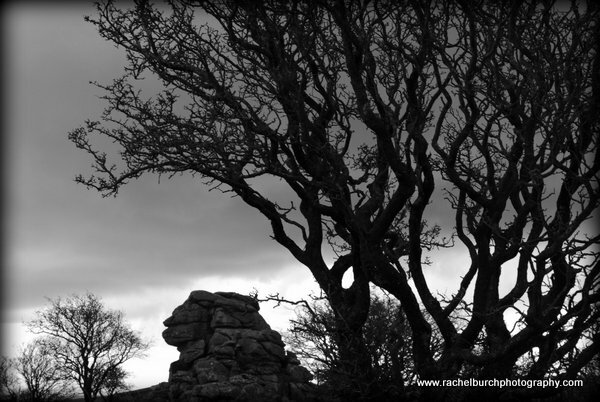 The hawthorn in front of the Tor made a great focal point and worked well in black and white. 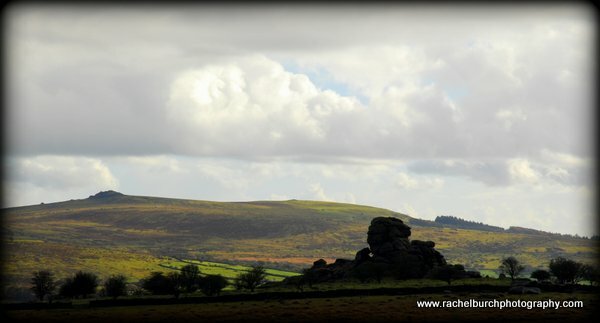 As I walked back from the Tor I got a nice shot of the Tor highlighted by the light over King Tor, Dartmoor is great for this sort of shot the slanting light making for many a great image.